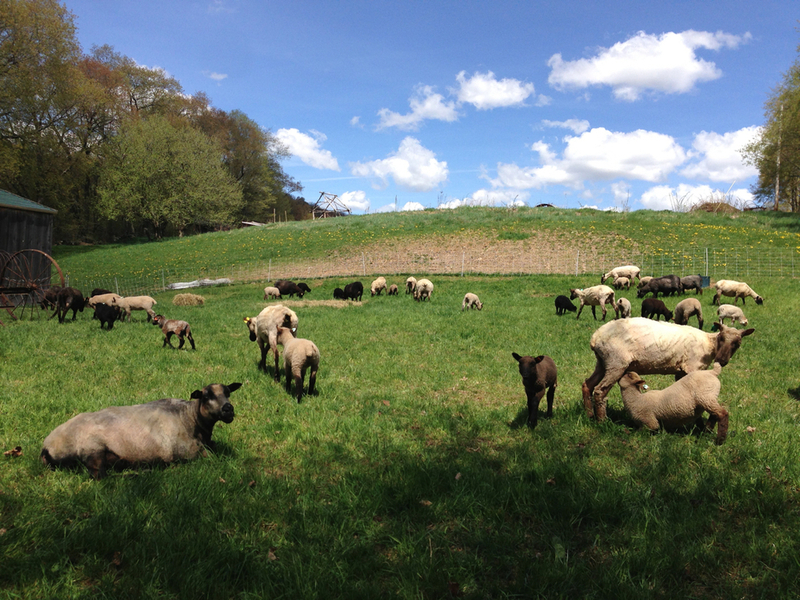 We tend a flock of 30 Clun Forest Ewes (mama sheep) who give birth to 40-60 lambs every May. Clun Forest is a heritage breed from Wales, who are known for good mothering skills, the ability to grow and thrive on pasture and their hardiness in our tough climate. We lamb to coincide with the return of the grasses in May. Then the ewes go out on fresh spring grass after lambing, which helps them produce abundant milk for their lambs. Most ewes have twin lambs although some will have just one. 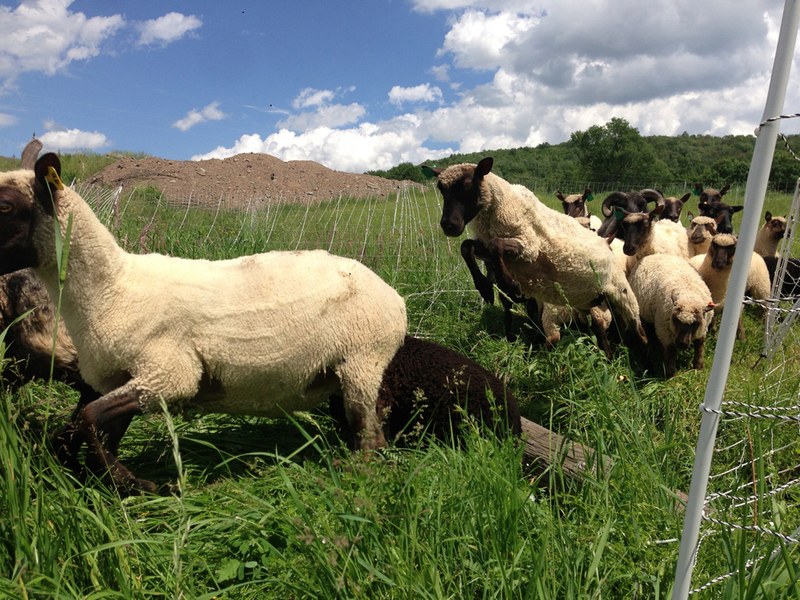 Our sheep are 100% grass fed. Sheep are ruminants, like cattle, and therefore thrive on a diet composed of grass and forages. This means that they do the work of harvesting their food from our lush pastures from May to December. 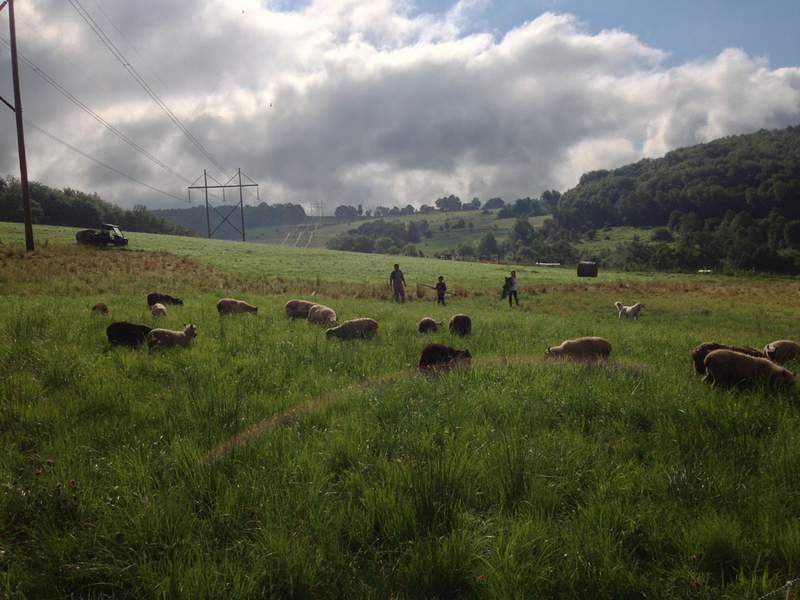 We practice management intensive grazing with our sheep, moving them through small sections of pasture every day to ensure the best quality food. When snow covers the ground and the grasses have stopped growing, we feed hay that we have cut, dried, baled, stacked, and stored for the cold winter months of January through April. They have a pretty great life. Their stress free life and unparalleled nutrition makes our lamb the tastiest in the land!